When someone fills out your form, the submission data will directly be saved to our servers. You can view them directly in your submissions page. 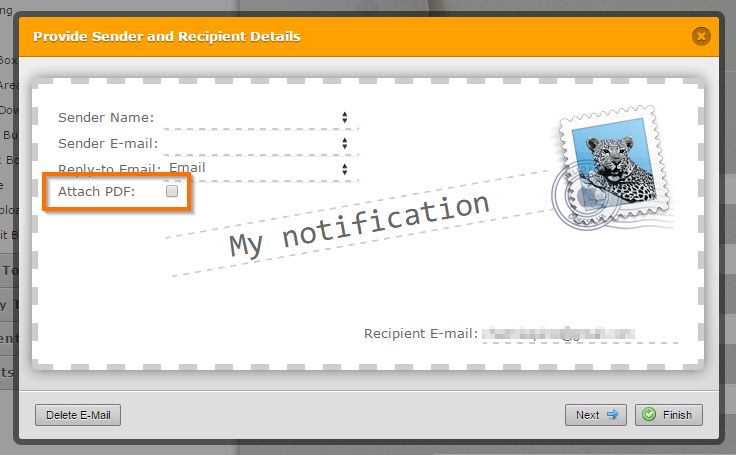 In the Compose email window, you can use the form fields at the right to display what submission data will be displayed in the email notification. 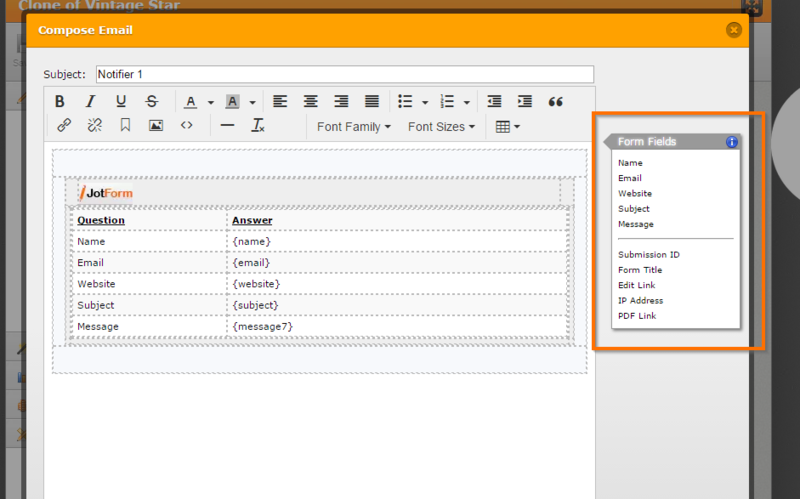 You can also completely change the layout and format of the email here. If you wish to attach the submission data as a PDF in your email notification you can use the "PDF Link" tag in your email body OR you can enable the "Attach PDF" option. To test how this works, open your form, fill it out and click the submit button. You should then receive an email about it.